There are many occasions when you may want to count something electronically. Perhaps it is car traffic on a street or items moving down an assembly line. It might be the number of times a machine is activated or maybe you want to count the number of people entering doorway. 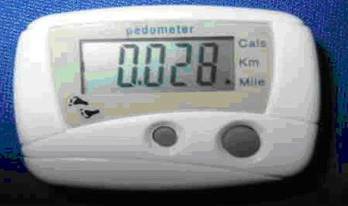 Commercial counting modules do exist but if you want to use something cheaper, you can modify a pedometer to do much the same thing. 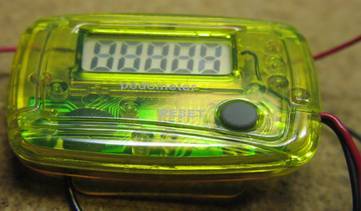 You can usually find inexpensive digital pedometers near the checkout stand in many stores. I have seen these things in drug stores, food stores and even shoe stores. They cost about $5 and usually look like the models shown below. They are clipped onto a belt and have a swinging pendulum switch inside, which makes contact with each step taken. 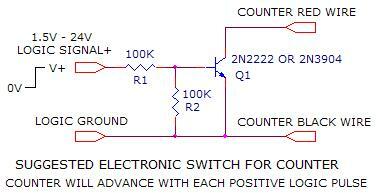 There usually is a pushbutton switch, to set the mode of operation and a second switch to reset the count to zero. Some models just have a single reset button and only count steps. Most have at least 5 digits for a maximum count of 99,999. 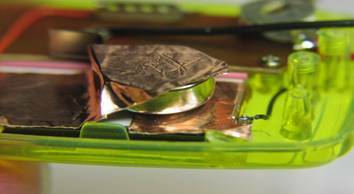 They are usually powered by a single small 1.5v alkaline button cell. 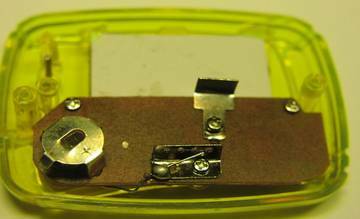 It is fairly easy to open up one of these things and replace the mechanical pendulum switch with either an external electronic transistor switch, controlled by some logic signal, or a simple mechanical switch, such as a pushbutton. With a simple modification, this device can count something other than footsteps. 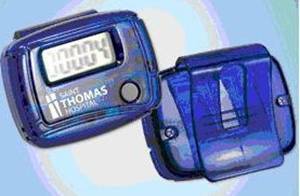 Since the device was originally used to count footsteps, the electronics of the module restricts the counting rate about 3 counts per second. If you are going to use this thing often, I would suggest removing the small 1.5 volt button battery and replace it with a larger cell. 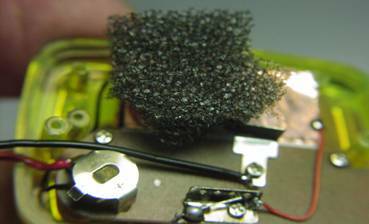 A #357 silver oxide cell should keep the thing operating for years. I used a couple small wires and some copper foil adhesive tape, to mount the large cell inside the case. A bit of foam rubber will hold the cell in place, when the case back is reinstalled. 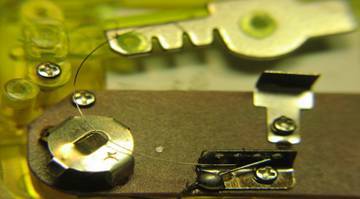 Next, remove the whole pendulum assembly, including the thin spring wire. Usually only one screw holds the assembly together. Next, file a groove about 1/8” wide and 1/16” deep on the edge of the plastic case, next to the silver battery holder. The groove will be used to route two thin insulated wires through the plastic case. 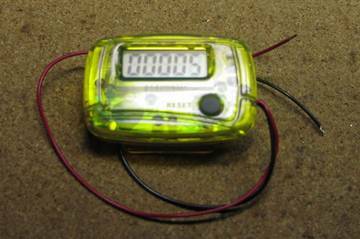 Next, solder a small gauge red wire to the battery case and a similar black wire to the pendulum contact metal tab. The two wires can be almost any length. These wires will be routed to either an external mechanical switch or an electronic transistor switch. After soldering the two wires, you can then reinstall the back plastic case to the main assembly. Test the counting unit by briefly touching the ends of red and black wires together. 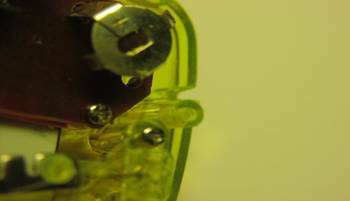 The count should advance each time the stripped wire ends touch.